Achill Signs - printing, design, layout & digital print services for Achill Island, Co Mayo, Ireland. 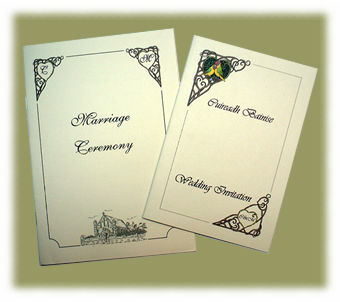 Achill Signs offers a range of DTP (desk top publishing) services including layout and printing of newsletters and promotional leaflets, production of wedding invitations, remembrance cards, business cards, hotel stationery, restaurant menus, and other personal or small business printing needs. Our new digital printing equipment can print graphic designs onto a variety of materials including clothing fabric. This means we can print your design, image or logo onto clothing such as T-shirts, sweatshirts and baseball caps. We can even print onto materials such as plates and mugs, or sports bags - ideal for hotels and guesthouses to personalise their crockery, or for sports clubs to create team branded kitbags. Contact Achill Signs today to find out how our new digital printing equipment can help with your personal, group or business printing needs. Kieran Sweeney can help advise on all your printing requirements and provide estimates for graphic design, layout and digital printing jobs.